Millions of Americans look forward to the holiday season not only for the food, festivities, and family re-connections… but also for the fabulous financial freedom fussed over and fought on Black Friday. According to the National Retailers Association, Black Friday is a legitimate part of the holiday shopping season and analysts expect over a 4% rise in activity in 2018. That equates to the average consumer spending just over $1,000 for their holiday gift goodies, and for some of the smartest and savviest shoppers that splurge begins on the day after American Thanksgiving. Black Friday has long been established as the first shopping day of the holiday season and deals are often extreme, but so are emotions and shopper intentions. This can lead to many retail safety concerns, some of which can be easily avoided. But why are security guards a fundamental part of that successful safety package for Black Friday retailers? Theft is a serious issue for retailers any time of year, but research has shown this is especially the case around the holidays. In fact, as the official shopping kick off of the holiday season, Black Friday is especially problematic. With so many people rushing to get the deal of the year, theft is up almost 30% on Black Friday over any other day during the year. And 40% of that theft accounts for clothing and apparel. Private security guards can work the crowds in or out of uniform to keep theft at a minimum. Black Friday 2017 saw a record retail earnings of almost $8 million, so of course, successful retailers will want a piece of that revenue pie. However, there is a type of undisputable psychology behind retail rage. Hopefully, your business will bypass the worst situations. But as more shoppers bent on a deal come out to play, more madness and mayhem ensue. Fist fights, pepper spray attacks, stabbings, and even shootings have all occurred at an otherwise peaceful business due to high emotions and crazy entitlement issues. Private security guards on staff, even just for the event, can help keep emotional sparks from blazing into a bonfire. Many stores open well before the crack of dawn or even begin their special sales on Thanksgiving night itself. But those deals not only lure crazed sale seekers, the crowds and product placement often leads to some serious confusion for older folks or those just looking for a handful of select items. Regular and seasonal sales associates are often too preoccupied to be on call at a moment’s notice. But private security guards can help confused or distraught consumers or even lead them to a manager or correct area so their Black Friday experience is just one of many for your newest loyal customers. Customers aren’t the only ones business owners need to be concerned about on Black Friday. Employee safety is paramount as well. In fact, a harmed employee can ruin far more than your business rating. Private security guards can be assigned as a line of defense between out-of-control customers and overly stressed employees to ensure a professional balance. They can also target and derail possible disasters before they strike so your workers know their safety is more important than the bottom line. 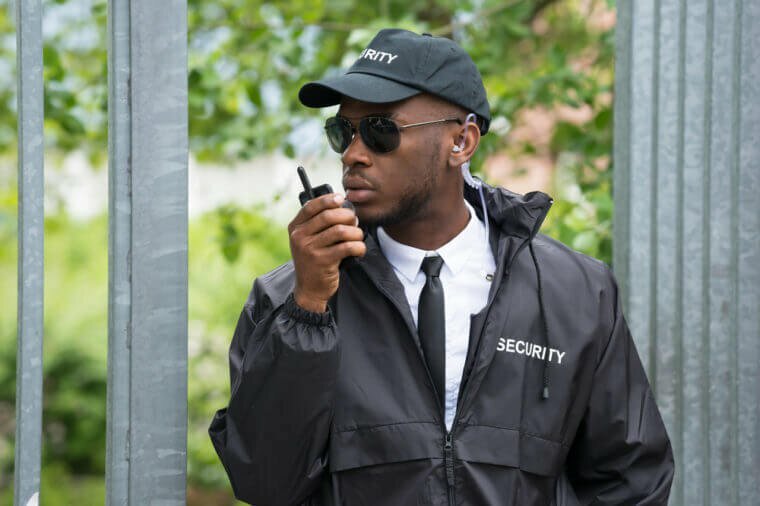 Whether the parking lots need to be patrolled, customer guidance is necessary, employee surveillance is required, or extra administrative duties or paperwork needs to be completed, private security guards can be a priceless benefit to your business. And since they’re fully trained to oversee countless activities including breaking up disputes, spot potential dangers, and even work behind the scenes with local authorities, your retail security concerns can easily be a thing of the past.